The nation’s decennial census is the very foundation of the nation’s representative democracy. It is so fundamental that it appears in the fifth paragraph of the U.S. Constitution, preceding even the structure of the new Congress and the presidency. The decennial census takes place once every 10 years, in years ending in zero, in order to count the population of the entire country. The enumeration, as the census is called in the Constitution, determines how seats in the U.S. House of Representatives are apportioned among the states. As the Founding Fathers envisioned, the census also serves as a vehicle for informed decision making, giving civic and business leaders the tools to understand the nation’s social and economic progress and the means to address the needs of its people objectively and fairly. Today, the decennial census is the nation’s largest peacetime activity, touching virtually every person and household in the country and requiring the mobilization of hundreds of thousands of temporary workers to prepare for and conduct the enumeration. But increased racial, ethnic, and cultural diversity and more complex household arrangements have pushed traditional counting methods to their limits, in terms of both cost and accuracy. The U.S. Census Bureau now faces the dual challenge of producing a high-quality 2020 Census with a requirement by Congress that it be at a lower per-household cost than the 2010 Census. That the American public largely takes the census for granted, except perhaps when the questionnaire arrives every 10 years, is not surprising. Alarmingly, however, Congress—which has constitutional responsibility for overseeing the census—has not made this fundamental civic activity a priority in the years between each census, when essential research, testing, development, and preparation activities take place, alongside the ongoing collection of vital socioeconomic data in the American Community Survey, or ACS, the modern version of the census long form. The U.S. Department of Commerce, which houses the Census Bureau, also has competing priorities that can hinder the bureau’s ability to make its case for sufficient fiscal resources and programmatic support in a timely way. This inattention has severely impeded the bureau’s efforts to design and plan a modern 2020 Census that employs cost-saving methods without sacrificing data quality. Watch this three-minute video to learn about all of the great things we get from the census and why it needs stable funding. The Census Bureau is pursuing a rigorous research and testing program for the 2020 Census. The agency believes it can save $5 billion by offering multiple response options, including via the Internet and other electronic means; streamlining the management and conduct of field operations using modern technologies and adaptive design techniques; and using administrative records to update the address and mapping databases, as well as to identify households and people who may have been missed. The new initiatives are promising, but complex, and require significant testing and development throughout the decade. 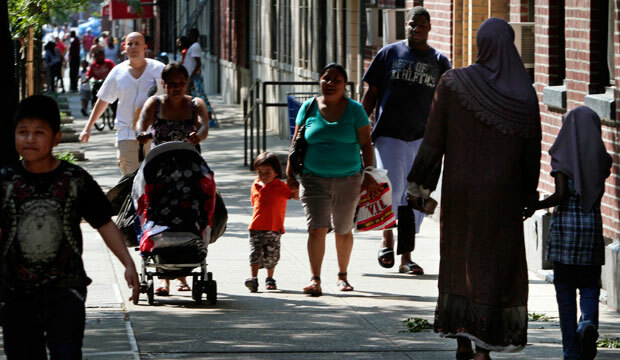 As we reach the midpoint of the census cycle, insufficient funding and sparse congressional oversight have put thorough, timely planning for the 2020 Census at high risk. Change the Department of Commerce organizational structure so that the Census Bureau director reports directly to the secretary, rather than the under secretary for economic affairs, in order to help streamline the decision-making process and improve efficiency. Require that the president and Congress propose and approve funding for decennial censuses in five-year blocks in order to facilitate thoughtful consideration of the complexities and goals of this constitutionally mandated activity. Change congressional rules for consideration of the decennial census budget in order to prohibit reallocation of census funding to other programs within the Commerce, Justice, Science, and Related Agencies appropriations account. Prohibit legislative riders on the Census Bureau’s appropriations bill in order to prevent attempts to modify the scope and structure of the census and related ACS outside of the regular, authorizing process. The Founding Fathers created the American census both as a mechanism for representative government and as a means to measure the nation’s conditions, progress, and needs. In recent decades, the Census Bureau’s ability to carry out its mission objectively and efficiently has been compromised by a lack of timely support for planning resources, as well as by use of the appropriations process to advance fundamental changes to census design and scope, outside the normal legislative process. This report underscores the critical importance of an accurate, comprehensive census to our democracy; explains the challenges the Census Bureau faces in meeting its constitutional mission; and offers some common-sense ways to meet those challenges. Benjamin Chevat is executive director of both 911 Health Watch Inc. and Citizens for the Extension of the James Zadroga Act Inc. Terri Ann Lowenthal is a consultant specializing in issues related to the census, the federal statistical system, and the use of data for policy purposes.